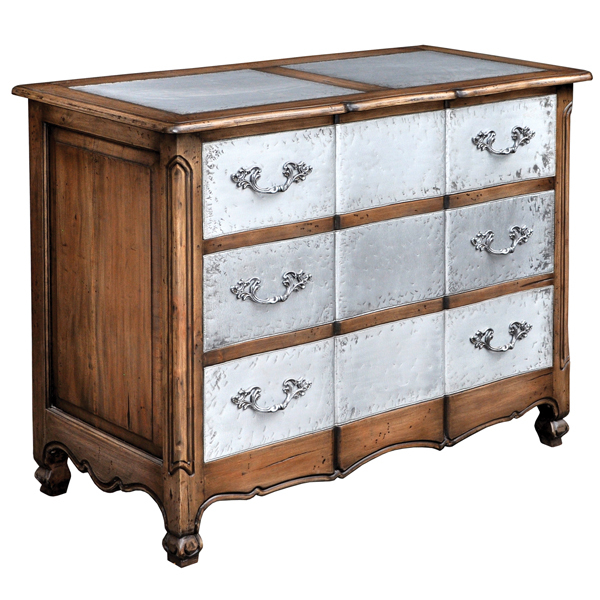 Three drawer dresser features metal faced drawers and metal panels inset on top. Handcrafted from solid premium mahogany. Shown in Drift Wood with Antiquing wood stain on the body and the tin is shown in Antique Natural finish. This furniture design has reclaimed metal incorporated into the design. You have metal finish choices and paint choices available. Click on the buttons below to see your options.